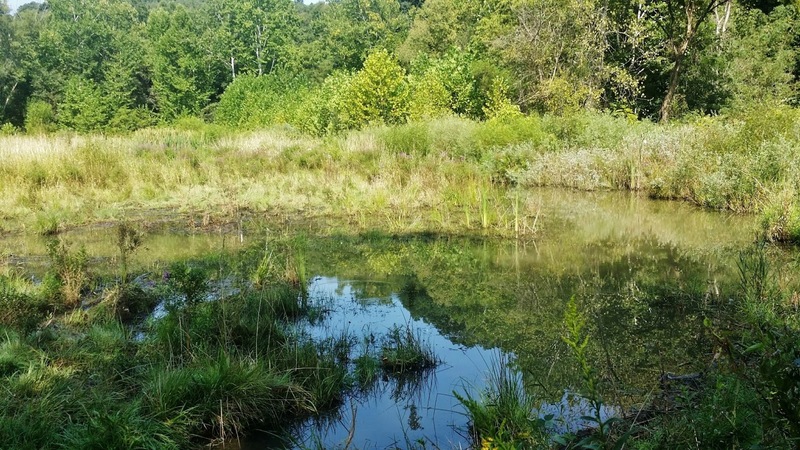 About 10 minutes from my home is the Montour Trail which has flat, paved paths for bikes and those who enjoy an easy jog or somewhere to walk their pets in nature. It spans 45 miles and connects to the Great Allegheny Passage which can take you all the way to Washington, D.C. 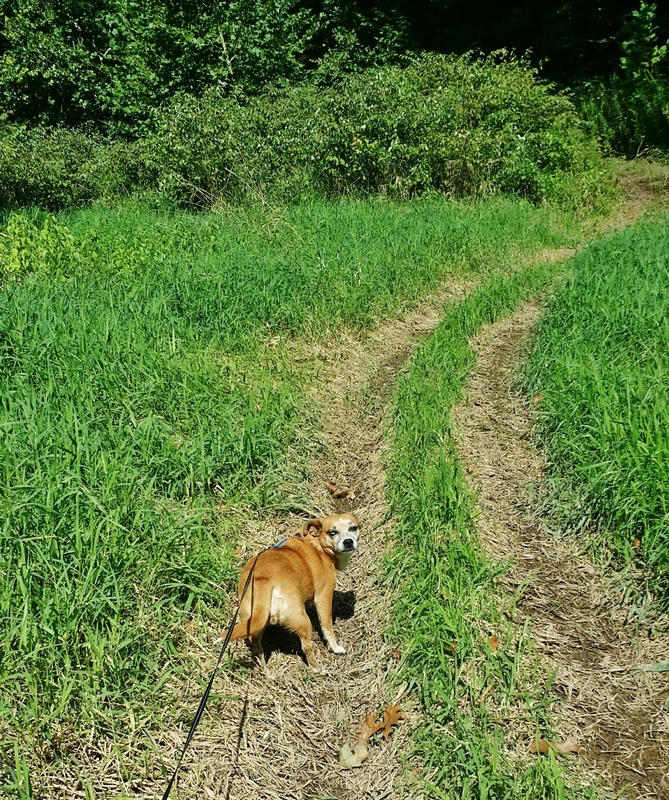 I usually take Kaylee to the trail on the weekend since we're not pressed for time, but she NEVER wants to stay on the paved trail. As soon as she sees a trail going off into the woods, she looks back at me with this excited face to see if we can go. Kaylee loves the road less traveled. 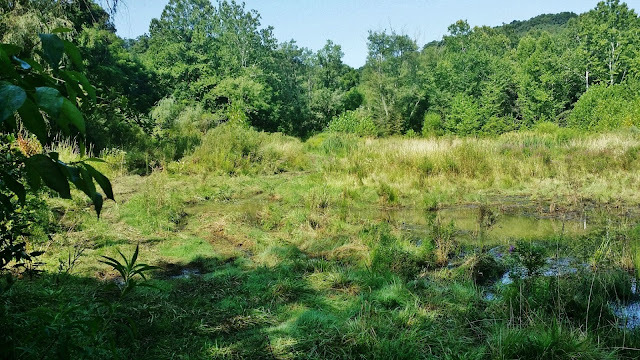 Yesterday I'd taken her to a new part of the trail, and she soon found a new path to explore. It ended up leading us to marsh land in the middle of the forest--acres upon acres of muddy, soggy, beautiful land. Finding a path to walk through was a challenge. 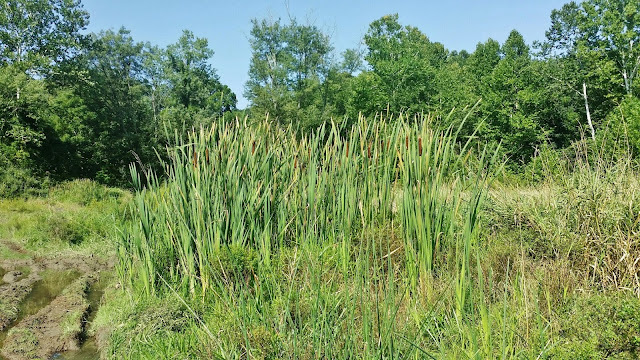 After almost getting stuck in ankle-deep mud a few times, I decided it was time to turn around and get to the main path, but there's one good thing that came out of the experience: I noticed that the area had an abundance of cattails. 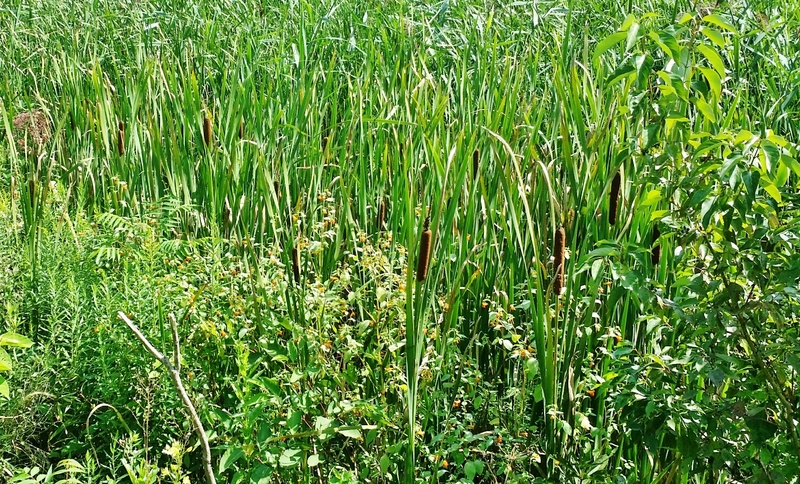 There were large bunches like this strewn throughout the marsh. In Braving the Storm, Chloe is thrilled to come across this plant as along the creek near the cabin, and with good reason! Cattails are one of the most versatile and blissfully plentiful wild plants that I've learned about thus far. 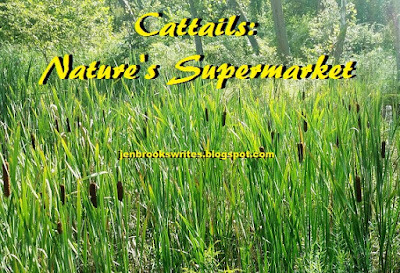 If there is shallow water, there is a very good chance you're going to find cattails! There isn't a part of this plant that isn't useful in many different ways: it's edible, it's medicinal, it can be used to make roofs and mats, it can be used as a slow-burning torch, it can be used as stuffing in clothes, it purifies water...what's not to love? Bonus challenge: Can you spot the cattails, jewelweed, and Joe Pye Weed in this picture?